These attractive cabinet knobs and cabinet pulls by Cool-Line are the perfect accent piece for cabinet doors or drawers in your kitchen or bathroom. 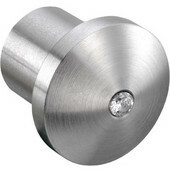 Constructed from solid stainless steel, these knobs and pulls all feature an attractive Satin finish. 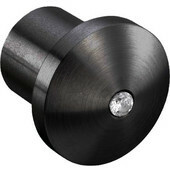 The Stainless Steel Cabinet Knobs are available in two styles with a choice of two sizes for each. The Stainless Steel "U" Cabinet Pull is available in a 32mm width. The Adjustable Cabinet Pulls have the ability to slide to your preferred handle size and are available in two sizes. 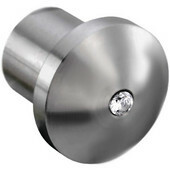 The cabinet knobs and pulls all include hardware for mounting and feature a limited lifetime warranty.